The best way to respond here is point by point so that is what I am going to do. The first couple sentences serve to use the name calling fallacy so its not even worth discussing so lets jump to the heart of Rokjox’s argument. If you have met us, we are always looking for better run names. If you have suggestions for naming runs on the map, post them on a map in the blog. Chago has been skiing for approximately 20 years in the area and I have been skiing there for about 6 or 7. Although some runs have “good names,” there are a ton that have just descriptive names like corn nob north. The point here is that we welcome input, we just haven’t received any in the time we have been out there or by email (which will be 5 days in the Mores Creek Area this Saturday). Part of the reason for sharing the many areas that Mores Creek Summit has is to distribute the load on the mountain. It is not because of the blog that people are getting out there. Our. sport. is. growing. There is no way around it. Already areas such as Colorado have seen big pickups of backcountry skiers and that is just now starting to hit Idaho. I would rather publish safe routes for new comers to the backcountry than not. Knowing which routes are safe and not goes a long way toward preventing accidents (read as travel in creeks is unadvised). Lastly, the postings on the WestCentralIdahoMountains blog are exactly that, postings for the entire area. There have been postings in the Pilot area as well as Copper. In the spring this will become more common as more areas become less avalanche prone. EXACTLY, that is why there is the blog. Lets go back, waaaaaaaay back to when the blog was started. Here is some little known history. Chago approached Janet Kellam shortly after a session at the National Avalanche School to discuss the possibilities of expanding the Sun Valley Avalanche Center to include the area we know and love. Unfortunately, despite the fact the Center would have liked to do that, it did not have sufficient funding to forecast for another area. Janet suggested that Chago create a blog in which to post avalanche observations as well as allow others to do the same. From there, the two blogs were created with the mission of being a place where backcountry enthusiasts could post their observations. So yes, getting more people in a sport increases accidents of that sport, but isn’t that true of any sport? You get more people playing Tennis and you have more Tennis injuries, is that surprising? No. The mission of the blog is to create a place where people interested in the backcountry in the Idaho City Area can look at past observations of their peers to make an initial Forecast for the day they are going. That is not even getting into the single most important thing for Chago and me, getting people to take courses to enrich their understanding in snow science. But I digress. The way you are thinking of the blog is, misguided, if anything. The vision for the blog is that it can one day be obsoleted by an Idaho City Avalanche Center. The publicity that the blog brings to the area is no different than the traffic any other Avalanche Center would. As far as people coming up, contrary to what you propose, I full heartedly encourage people to find knowledgeable mentors and get up there to do things hands on. The notion of “protecting” the area from “outsiders” is ridiculous. The area is as much yours, as mine, as anybody else’s. Don’t wrong people for doing what they enjoy just because it means you might have to choose to ski at Winter Corner or Freeman instead of Pilot one day. Thus far, I have yet to see every parking lot full, and until that happens, there shouldn’t be a problem. More than anything else, this is what gets me, personally, riled up. I will lead of with the fact that any person who has completed Avalanche Level 1, knows that spatial variability occurs. Let me repeat that, AVY LEVEL 1 TEACHES SPATIAL VARIABILITY. To correct your point actually, you do not even have to be 500 ft away. you get spatial variability in pits dug right next to each other. The essence of your point can be seen as flawed if we simply extend it to other Avy Centers. The point you are making is that Snow Reports can’t be trusted. 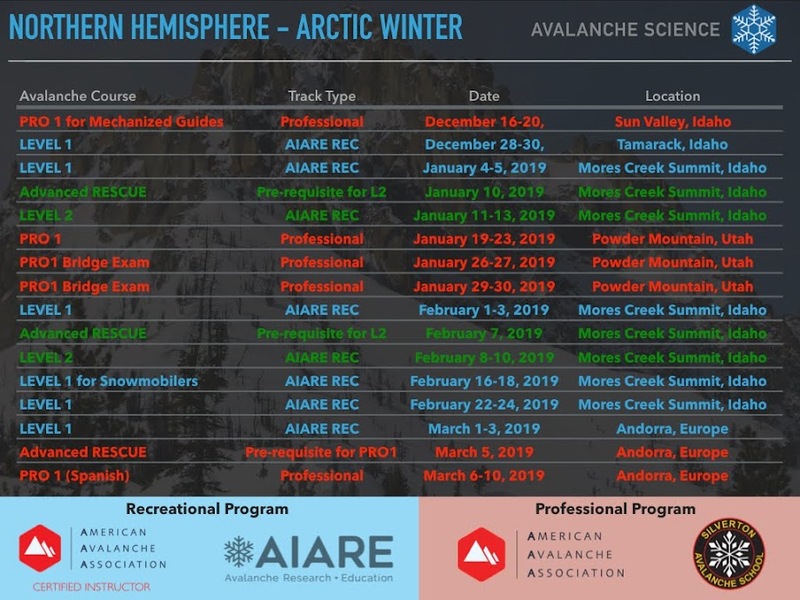 Ok, so what is the point of having Avy 1, Avy 2, the Payette Avy Center, the Sun Valley Avy Center, National Avalanche School, AMGA, AAA, AIRE, or anything else? That, is what you are suggesting. The better interpretation of your intent is that due to spatial variability, we should have caution and insight when creating forecasts. Lucky for us, forecasts are not solely based on pits. Good forecasts are based on temperature data, wind data, observation of recent activity, etc. And finally, in any Avy course you might take, you are taught that forecasts should be taken as a guideline and that you should air to the side of safety. Meaning, maybe you see if a super wind-loaded area when the report said that the winds were calm. USE YOUR JUDGMENT. So while Pilot may not be a “beginner” area, with the right precautions such as looking at the forecast and going out with a mentor, newcomers can have fun and become knowledgeable simultaneously. The last remarks you make serve no purpose and imply that no one, but you has experience in the area. This is of course a ridiculous notion. Chago alone as skied there rougly 20 years. He was actually the first person in Idaho to purchase randonee gear at that. John Taggart has also been here forever and is a leader as an avalanche educator. I could go on and on, but the point is that you are not the only one. I can also be sure that you can’t say you have been skiing in that area since you were 12 as I have been. Again I digress though, rather than devolve into a discussion of who is the manlier man, here is my point. WE WILL NOT STOP POSTING FORECASTS AND OBSERVATIONS THAT HELP SKIERS MAKE SAFE AND INFORMED DECISIONS IN ORDER TO PREVENT ACCIDENTS. We, the contributors and readers of the blog, are willing to work with you. I have met several from the community here and what it has started is a fantastic collaboration on the mountain. It is creating a community that cares about one another. It creates a community where we can all share in the same joint interest: to enjoy the majesty and wonder of the mountains. As we have from the beginning, we extend a hand of friendship.